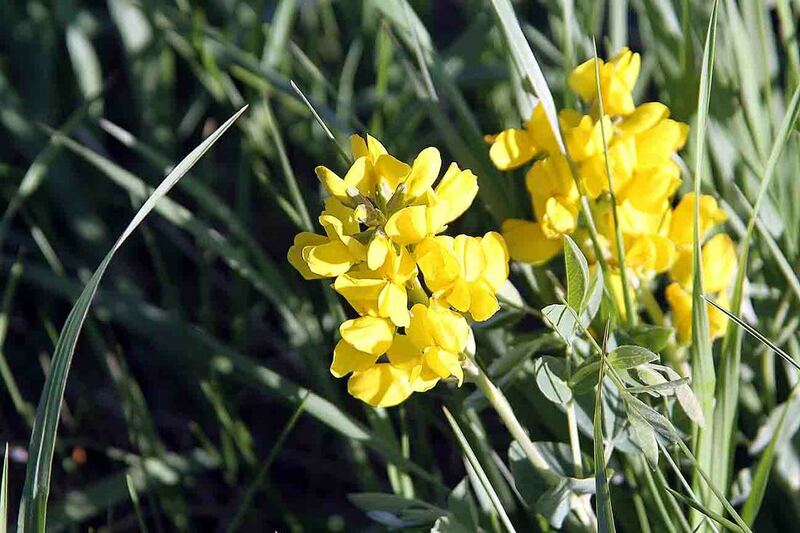 ​ A guide to identify, learn and share Alberta’s 1000+ species of wildflowers. Enjoy all the familiarities of a traditional paper field guide, with more images and species information. Foster a community via the app, where users can share sightings, images and connect with each other. Plants can be identified by either searching key plant characteristics (color, petal shape, etc) and location or by using our automatic recognition system. By utilizing our image recognition with our innovative scent recognition, plants can be identified in a fraction of the time. 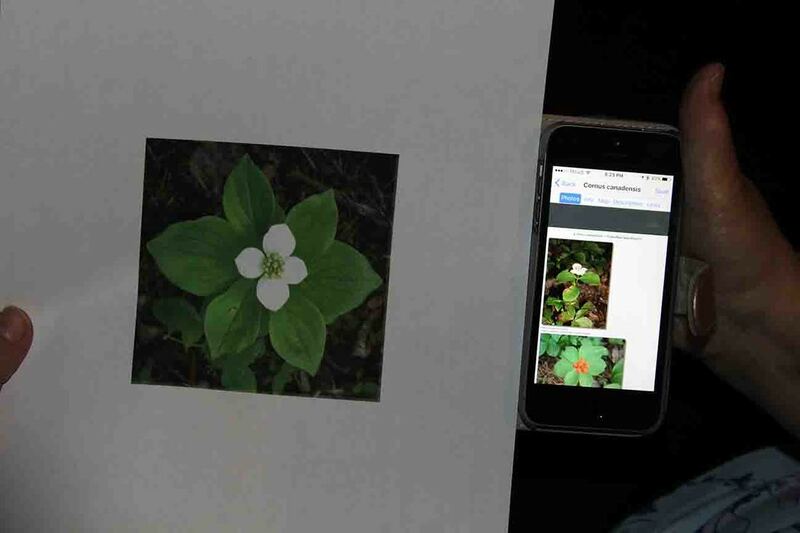 A user will be able to easily search through images to find a wildflower and any information related to it that they are looking for. Pictures taken and information about a plant’s location/characteristics can be shared with others by pinpointing sightings on a global map. This is a great feature for finding rarer species. The app also includes a glossary of terms, maps and help menu. 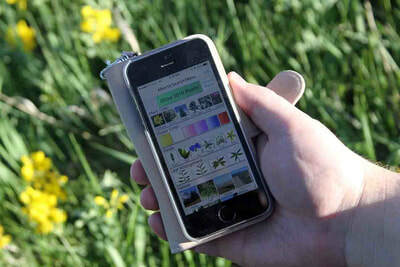 This app is targeted to anyone interested in identifying wildflowers in Alberta. The text descriptions are easy enough for a beginner to understand but with the option to expand for more detailed scientific information for more advanced users. 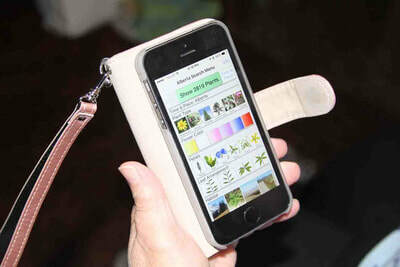 Take this app out on an evening stroll in a nearby field or on a hike in one of Alberta’s national parks. With internet connection, you can share and update sighting locations on a map in real time, and use our automatic recognition tools. Or use the app offline with the searching key tool. 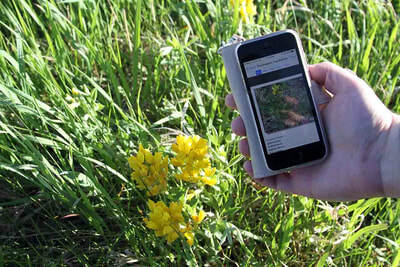 People of all ages and backgrounds can enjoy and learn about Alberta’s stunning collection of wildflowers with this app. Children: This user is really enjoying learning about plants in science class at school. They want to be able to identify and learn cool facts about plants while on field trips or at the park with their families. Casual hikers: This user started hiking for the pretty views, but doesn’t have any formal education on wildlife. They don’t want to spend money on expensive wildlife books, but they think it would be fun to identify wildflowers while on hikes and at parks and share their findings with their friends. 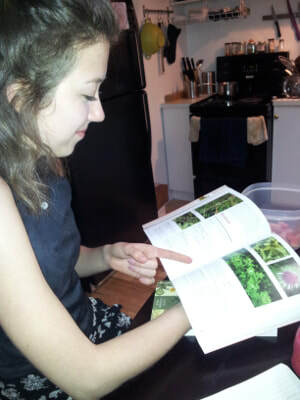 The passionate beginner: This user took a Biology (or Horticulture or something similar) class in the past, so they feel comfortable reading scientific texts though they don't have a lot of hands-on experience with wildlife. They enjoyed the small bit of formal education they received on the subject, so they want to continue learning even though school is over. They’ve been using smartphones for years, and would consider themselves very competent when it comes to using their phones. They would like to gain experience in examining and identifying plants at local parks, and also start a log of wildflowers they’ve found and learned about. Elderly folk: This user likes to go to the park to get some fresh air and admire the plants. They do not have any formal education or training on wildlife examination or identification. They own a smartphone, but they aren’t that well-versed with technology. They might not be able to see very well. They might have limited mobility with their hands, so it may be painful or uncomfortable to be constantly flipping pages or writing things down. As a hobby, they would like to learn the names of plants and a few fun facts about them, as well as keep a log of what they’ve found to show their children and grandchildren. Nature enthusiasts: This user has spent years using books for plant identification, so they have a lot of experience in examining wildlife. Their passion for learning about wildlife is very strong, and they have more knowledge than a casual hiker or park-goer. They participate in local nature groups. Their biggest complaint about guide books is that they become outdated, and it would be easier if there was an electronic resource that could be updated as new information becomes available (instead of buying a new edition of a book every few years). They keep a journal of the species they’ve found, and they would like a way to store/view these statistics digitally. Nature experts: They are concerned about the accuracy of information (i.e. they don’t want false information to be spread in an educational context). These stakeholders have a lot of in-depth knowledge about wildflowers, including some formal education on nature, wildlife, etc. They are well-versed in plant identification, and have likely done a lot of examinations of wildflowers (and other plants) locally as well as abroad. They are happy that people want to learn more about plants, but they want the resources to be as accurate as possible. Environmentalists: They want to ensure that the techniques used for wildflower identification are not harmful to the plants. Like nature experts, these stakeholders have formal education in the field. They have extensive knowledge on the conditions needed to protect and foster the growth of various species of plants. They stress the importance of hikers and park-goers being respectful of their surroundings. ​Justification: There are a multitude of field guide apps spanning different geographic locations and species currently available. A great way to gather a significant volume of user experiences in a short period of time is to mine the customer reviews for these apps. The anonymity of online reviews give users a chance to voice their specific likes and dislikes in a candid fashion. This provides invaluable information when designing an app with these users in mind. To focus our analysis we chose to gather key features of the apps that users voiced their opinions on. ​Method description: We searched for wildflower field guide apps in Google Play with the keyword “wildflower app”. The four highest reviewed apps were chosen for analysis (see table for details on the chosen apps). The highest had 97 reviews (203 ratings), whereas the lowest had seven reviews (19 ratings). Once the reviews were collected, they were read through and categorized based on feature. For example, a review (or part of a review) stating “very intuitive, works with little effort” was categorized in the ‘ease of use’ feature, “needs bigger thumbnail pictures” was categorized under the ‘images’ feature. Major findings: The two most important features were ‘identification/searching’ and ‘ease of use’. The lowest rated app, with an overall rating of 2.3/5.0 based on 29 ratings (11 reviews), had mainly complaints on these two features. Incorrect or inconclusive search results coupled with failure for users to easily grasp the controls led them to describe this app as “worthless”, “useless” or a “waste of time”. Users of the other three apps, with ratings between 4.4 and 5.0/5.0, felt more positive about these features in general albeit with some issues. Some users found the searching features were able to efficiently and accurately narrow the results based on the plant characteristics they entered. Others suggested a few improvements, for example “might only suggest a favorites list function for a future update”. The Wild Flower Id app was the only app that used an automatic recognition algorithm that identified plants by taking a photo. Users enjoyed this feature when it worked for them, however, it ruined their experience when this feature did not work, “would be 5 stars if the auto recognition worked”. On any app, the users were not in agreement on either the quantity or the detail of the descriptions of the wildflower databases. This largely depends on their knowledge level and how they intended to use the app. One user used their app as a quick reminder of plant names, while another used theirs as an aid for their herbal medicine course. The developers were regularly updating and increasing the databases, based on user feedback. Developers have to balance how large to make the database and how much memory the app uses. Knowledge levels and intended use differ wildly, making this feature tricky to design for a wide user base. Images were another major feature. Users prefer multiple, good quality, and aesthetically pleasing images of any given plant. Many felt positive about the images provided. Not being able to enlarge the images was the major complaint with this feature. The apps were mainly used on a hike, or a walk in a field or countryside. One user pointed out that they liked that their app did not need to be connected to a network. ​Justification: Since a potential user of our system is interested in wildflowers but might not have a lot of technical knowledge about them, we wanted to gain insight from someone whose experience with plants is mostly recreational. Our main goal for the interview was to find out what tools they use to find information, and what they like or dislike about the resources that currently exist. Method description: We interviewed Alyssa and Wesley, a couple in their twenties who are passionate about nature, specifically plants. They love going for walks and hikes. 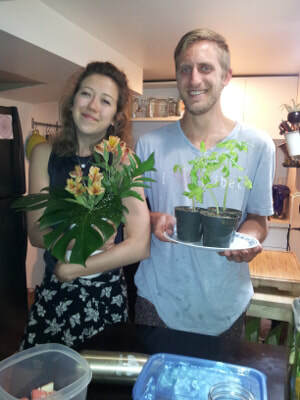 Aside from one semester of Horticulture class in high school, neither of them has any formal education about wildflowers or plants in general; however, they own several books on flowers and other plants that they use to teach themselves for fun. They currently don’t use any wildlife apps. We felt that it would be helpful to interview them to gain insight from people who are interested in plants (specifically, plant identification) without having an academic background on the subject. We interviewed them in their home. 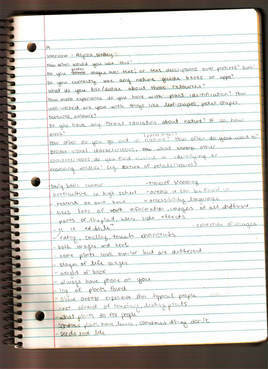 I recorded the audio from the interview so that I would not have to write down responses word-for-word. I only made quick handwritten notes to refer to insights that I thought were the most significant, so that I would know what to listen for when I played back the audio later. Major findings: Many plants look similar but are very different in other less visible characteristics, so relying on visual characteristics alone is not always the best when it comes to identifying a plant. Feeling, smelling, and sometimes tasting the plant can also provide valuable information that can be used for identification. One critique Alyssa had about field guides is that many of them only provide one image of the flower. She said it is beneficial to be able to examine additional images of magnified leaves, petals, or stems. Wesley also added that a flower may look different depending on its current stage in life, so including images of its various life stages would be helpful (since people will not always come across the flower when it is in full bloom). Guides also vary widely in the way that plants are organized. One of Alyssa’s favourite books on plant identification had the plants organized in alphabetical order; another book that she liked had the plants organized by categories such as “medicinal.” She noted that alphabetical order is nice when she already knows what she’s looking for and just wants to learn more about it. Otherwise, she usually flips through the pages and looks at pictures/reads descriptions until finding something that seems correct. When asked what she might type into a Google search on her phone if she was outside and wanted to identify a flower, Alyssa said it is hard to identify a plant that way because a lot of people don’t exactly know what words to use to describe what they mean in the first place (or they use words that are too broad). She said it would be nice if there was a way to apply filters that narrow down the possibilities (like when online shopping), so that users don’t have to worry as much about finding the right words to use since they would already be provided. One problem she also mentioned with using online searches is that the user might not think to include their location in the search, or the search engine might not take location into consideration when displaying results. She said that a lot of plants may look very similar but grow in very different parts of the world. People doing searches might come to incorrect conclusions when they find a plant online that looks a lot like the one in front of them, without realizing that it can’t be the correct one since it actually does not grow anywhere near the person’s current location. 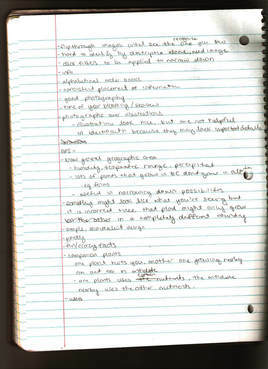 Alyssa also noted that guidebooks sometimes use language that is too complex. Wildlife authors with PhDs in the subject, for instance, may not realize that language that makes perfect sense to them may not be as clear to people who don’t have the same vocabulary and breadth of knowledge. For people without an academic background who interact with nature as a hobby, it can be difficult to find resources that contain accessible language. While Alyssa likes books that are packed with information, she acknowleged that if the pages are too dense with text without a good balance of images, the book can be a tedious read. In terms of what kinds of information are most interesting to learn about a plant, Alyssa and Wesley both said that any special uses (like healing a wound), and whether or not it is edible are the kind of facts that intrigue them the most. Justification: One of the best ways to determine what end users need in an app, is to have them use a similar system and then interview them to determine what worked, what didn’t work, and what they would like to see in a better app. Therefore, the Extreme User Interviews Research Method would be a great way to collect information in order to make a wildflower app that encompasses what different users of the app would want. Method Description: Two potential users were identified and given an existing wildflower app and then asked to describe their user experience with the app. 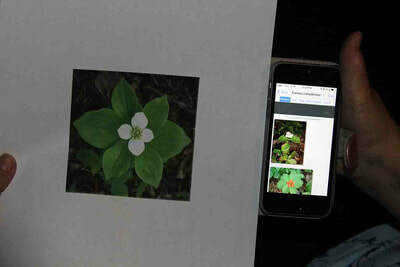 First, before using the app, they were asked what their process would be for identifying a flower they had found. Next, they were given the app and asked to identity flowers they found using it. One of the interviews was conducted indoors as there was a rain storm the day of the interview and we were unable to go into the field to do the interview. 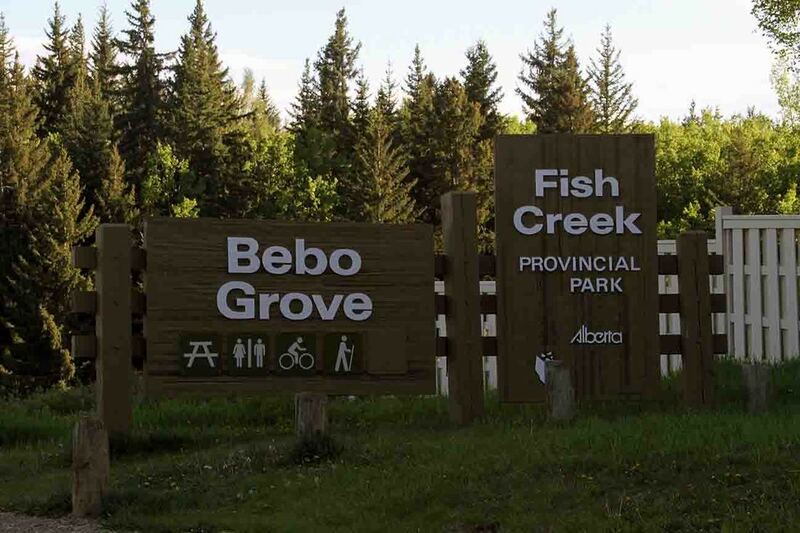 For this interview, the interviewee Lorraine, was given a photo of a wildflower that is located in Fish Creek Park and was asked to identify it using the Alberta Wildlife App and then explain her experience using the app. 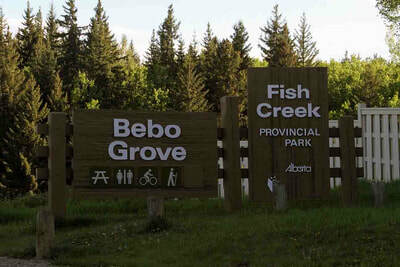 The other interview, with interviewee Brent, was conducted at Bebo Grove in Fish Creek Park. We observed how both users used the app and then discussed with them afterwards about what they found worked well and what difficulties they encountered. Lastly, they were asked to be critical of the system and give insight into a better design for a wildflower app. Brent, Male Adult, Average user of the following field guides: Birds, Dinosaur Bones, Rocks, Marine Life, and museums. Enjoys being outdoors and learning about things in nature that he discovers. He found that the app would be more meaningfully if the app could take his current location and then he could pick the type of flower from the type of flowers that are in that area. Found the apps design not very appealing and very amateur looking. He would like an app that is more stylish with high usability. Chose the yellow colour then was unsure of how to unselect it. Felt like it was designed by someone with no artistic ability. Flower colours symbols are unclear. Should be solid colours and have option to choose multiple colours. Description has a lot of information that is not relevant to field guide users for identification purposes. Colour of the flower and location are the most important in identifying the flower. Lorraine, Senior, Amateur User. Enjoys being outdoors and learning more about her surroundings. Uses field guides in book format at home to identify birds. Not tech savvy. Unsure of how to use it. Touching or swiping on the screen, what buttons can be pressed. Missing a lot of text. Are you able to collect it? Can you plant that certain type at home? It was very interesting to see that the potential users identified a lot more issues and items they would like to see instead of what they actually liked about the system. We think that goes to show that when a design is good, people tend not to notice, but if the design is bad or missing items, it tends to stick out to users and hurt the overall experience. So determining things that didn’t work out in similar apps plays a very important role in developing a better user-friendly app. Being critical is very efficient in learning how to develop a better app. A list of items that were left out of similar apps is also helpful in designing our app as it shows what the users are wanting to be able to complete with the app. Secondary Research - Customer Reviews Data Mining: Given our lack of time, mining customer reviews was a great resource. We were able to get a large quantity of data about what users actually thought about a product. We were able to see that the identification/searching feature and ease of use were among the most important to the users. We learned different reasons and ways the apps were used. However, we were only able to look at a fraction of the available apps, qualitatively. Many reviews did not contain meaningful information, and a large number of users only rated the app. With more time and data mining algorithms, we could have had a much larger data set, and analyzed the data quantitatively as well, giving us a more accurate sense of how users feel about the current apps. Interview: Recording the interview while only writing a few words helped the interview feel more conversational and less formal, since we didn't have to wait for answers to be written down before continuing. Since we interviewed them in their home, they were able to pull books off their bookshelf and show what they were talking about, or to provide clarification when we had follow-up questions. They were able to provide a lot of insight to things we would have never thought of on our own (such as the fact that plants look different at different stages of its life). 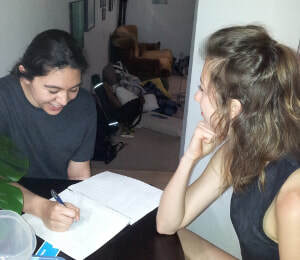 While it was comfortable and convenient to interview them in their home, the interview could have been improved if we had also accompanied them to a park afterwards, so we could have observed how they approached their examination of flowers or other plants. If we had done that in addition to the basic verbal interview, we might have been able to catch additional insights, preferences, or steps that they hadn't mentioned during the interview (since their answers had been based on recollection). Extreme User Interviews: Using the Extreme User Interviews Research Method was very helpful in getting a lot of feedback about what user’s like, don’t like and what they would like to see differently in a wildflower app. Even with only two people interviewed, a lot of information was collected which will give us insight into designing the app. I believe having more time to contact different users would have been beneficial in collecting a wider range of likes and dislikes. Also, having multiple apps that the potential users could try would allow for more feedback in relation to different designs and have users find more key issues using different systems. It was easy to have the user explore the system in order to find issues and then evaluate their experience using it. I think the users were more critical of the system than they would have been if they didn’t know I was going to be asking about their experience with it. Also, since they knew we did not create the app, they were more willing to share their negative experiences with the wildflower app. If I had to do this research method again, I would like to give the potential users more time to use the app, so that they would not feel rushed and could have more time to give feedback. Brent is a tech savvy individual who enjoys being outdoors and learning about nature around him. He starts walking in Fish Creek Park and sees a flower that draws his attention. He wants to get out his field guide and determine the common name (doesn’t care about the scientific name), whether it is common or rare, if it is a native flower or if it was brought to this location by others, if it is invasive poisonous/harmful, any interesting facts or stories surrounding this flower (like corpse plant that doesn’t bloom annually and smells like rotting flesh). He would like to save an image of it with a date stamp, month, day, year, time and location and be able to share it to friends. Lorraine is a senior who enjoys being outdoors and gardening. She sees a flower she likes in Glenmore Park and stops to take a picture. She wants to be able to identify it on the spot rather than take it home and look it up. She wants to be able to share it with friends and family and also save it to keep a record of what she has seen. She would also like to be able to determine whether she can plant it at home in her own garden. As she is not tech savvy, a tutorial to walk her through how to use the app would be beneficial. Alyssa is a woman in her twenties who loves going on hikes. She goes on a hike and wants to be able to see multiple images of flowers and also see magnified images to distinguish certain flowers that may look alike. Since it’s hard to describe what she’s looking at she would like to be able to narrow down the search results using filters such as Colour and Number of Petals. Wesley is a male in his twenties who likes going for walks. He sees a flower he would like to identify but it is not in full bloom. He would like to see images of the life stages of the flower in order to be able to identify the flower at different stages of it’s life correctly. Mary is a mother who just took her family on a hiking trip. She took pictures on the trip and would like to add their sightings of specific flowers to a map. When adding the sightings she would like it to be added with the date she saw the wildflower rather than the date that she adds the sighting. She would rather have it show the date the sighting occurred so that when using the app to check for sightings they are more accurate. So maybe a date editing button would be useful. Paul is teenager who enjoys researching flowers. He goes to parks and finds flowers that he likes and would like to add his favourites to a list so that he can keep track of them and be able to bring up the description of it easily at a later time.